LEXINGTON, Kentucky, Jan. 29, 2014–The U.S. Equestrian Federation announced Wednesday it has dropped plans–the official description was “paused”–for Young Horse Championships that had been scheduled to launch in 2014. 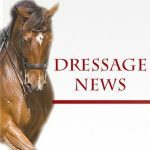 The USEF “initiative” was proposed three years ago but ran into opposition within the dressage community which has spent more than 10 years creating the country’s most successful young horse program and did not intend to join driving, eventing, hunter and jumper disciplines at the inaugural event this year. “As with any major undertaking,” the federation said in a statement, “there are hurdles which make one reassess the approach and identify additional opportunities for achieving the end goal. Federation leadership, working in concert with the Young Horse Championship Steering Committee, has come to the conclusion that emerging programs and additions to existing programs within each specific discipline should be allowed adequate time to develop and to be refined. “As a result, the USEF multi-discipline Young Horse Championship will not be held in 2014. Instead, the Federation’s efforts will be focused toward creating educational opportunities for breeders, young horse trainers and owners and facilitating the development of the different discipline-specific young horse pipeline programs. The YHC Steering Committee has tasked the Breeders Committee with taking the lead in collaboration with the Federation Education Department to implement this program. 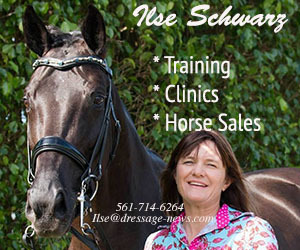 The dressage program for four, five and six year old horses as well as developing divisions has been so successful that dozens of shows across the United States offer competitions to qualify for the national championships as well as parallel qualifications on both the East and West coasts to seek to compete at the World Young Horse Championships in Verden, Germany.